Are you a mentee on Mentorloop? Do you have at least one active loop with a mentor? 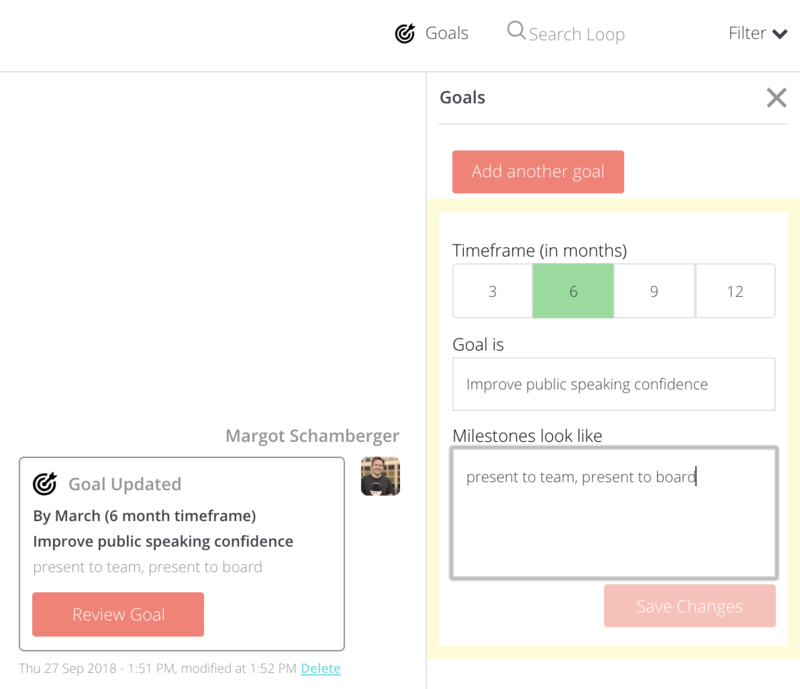 If yes to both you can use the goals feature to track progress on your mentoring goals. Click the “Goals” tab on your left hand side menu bar. Alternatively, click the “Goals” button at the top right of your screen whilst you are in one of your active loops. Click “Get Started” and follow the prompts to get started. Fill in a description of the goal, the timeline you’d like to achieve the goal in as well as any milestones you want to achieve along the way! Don’t worry, you can always return and edit your goals later! Click “Save and share” to save your goal and share it with your selected mentor. Each goal will only be shared with the selected mentor, and will appear in your relevant Loop. Yes! You can set as many goals as you like with each mentor you currently have an active loop with. Once you have written down one goal, click "Add Goal" on the bottom left corner of the goals page and add as many goals as you like! 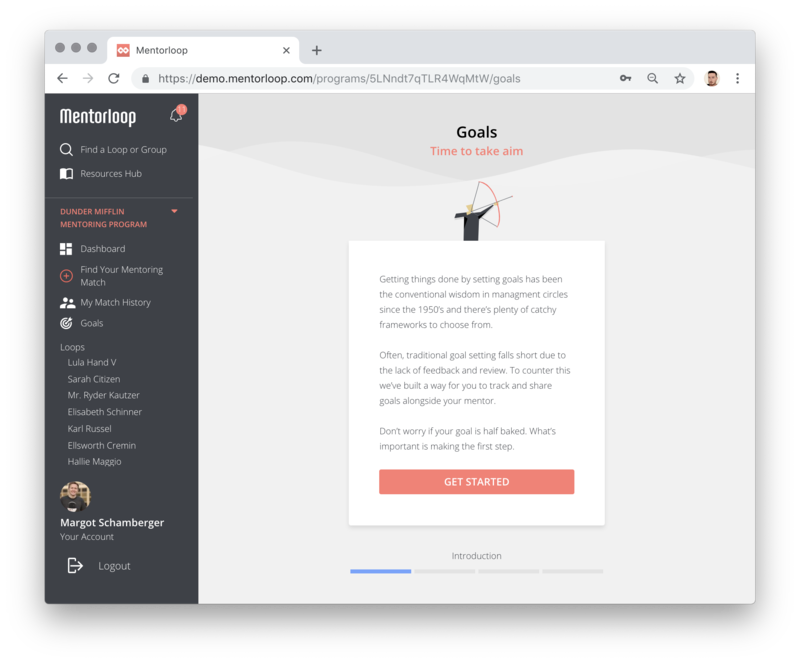 From your loop with your mentor, click the “Goals” button at the top of your screen. Click into the goal in question, make the desired changes, and click 'Save changes'. The 'Save changes' button will only be clickable once you have made a change. You can also click 'Review goal' when viewing that goal in-line in your loop, to go to the same edit goal screen in the sidebar and proceed in the same way. Your mentor will also be able to review progress towards your goals in the same way. Any reviewed goal will state the date and time it was renewed beneath it, as per the screenshot above.